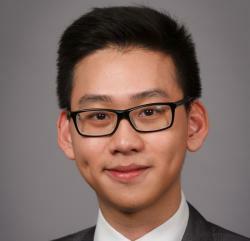 Hung Bui is a Master of Finance Class of 2020 student. My name is Hung Bui and I am a senior majoring in Economics at Dickinson College, PA, USA. I decided to apply to Frankfurt School because of many reasons. I had the opportunity to study abroad in France during my junior year and have thus always wanted to come back to Europe. I went to high school in Vietnam and did my undergrad in the US, so I was actively looking for the Master program in Europe to get myself exposed to a different environment. Frankfurt School is my top choice, because the school is located in the center of Frankfurt, which is not only Europe’s financial hub but also a very vibrant and international city in Germany. Furthermore, Frankfurt School is well respected in Vietnam. The MSc in Finance program at FS is an internationally recognized Master program that brings together finance experts and a highly motivated student body. I took time to browse the school’s website and thought that the program would be a good fit for me. Particularly, it has 4 different concentrations and the program is designed to be 2 years, so students like me will have time to look for internships. I would recommend everyone to take a look at Frankfurt School Blog and talk to current students at Frankfurt School. It really helps to have different viewpoints. It’s easy to go to LinkedIn and search Frankfurt School to connect with current students. In addition, I would recommend people to start the application process early because there will be a lot to prepare. I also asked Niklas and Eleanor (from the Marketing/Recruitment department) many questions during my application process and they were really helpful. For the interview round, I made sure that I learned my resume very well and practiced answering questions based on my resume. I want to choose the Risk Management concentration. I have always wanted to work in the quantitative side of Finance, and the Risk Management concentration at Frankfurt School focuses on the quantitative methods, thus helping students to handle, analyze and interpret data and apply them in a finance context. I am really looking forward to all the exciting challenges ahead and to working with my future classmates.